Air Jordan Retro 5 Low - "Purple Haze"
Jordan Brand Global Footwear Director Josiah Lake shuts down #AirJordanFridays with a never before seen colorway of the Retro 5 Low. Just how dope is it to work for the Jordan Brand at Nike? Take one look at Global Footwear Director Josiah Lake's feet and you'll quickly have a pretty good idea. Taking his talents to Twitter and shutting down the Jordan Brand's "Air Jordan Fridays," Josiah hit us with an Air Jordan Retro 5 Low that immediately takes us back to Mike Bibby's days with the Sacramento Kings. 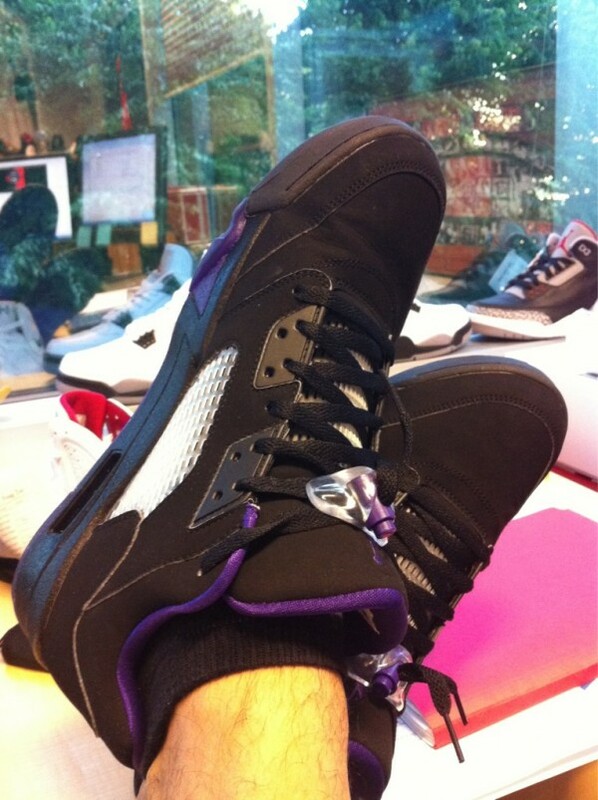 Not sporting any Mike Bibby or Team Dime personalizations, Josiah dubbed these the "Purple Haze" Air Jordan Retro 5 Low. They sport a black nubuck upper, with purple taking care of the midsole detailing, liner, lacelock, outsole and both the heel and tongue Jumpman logos. A nubuck tongue is also seen, swapping out the usual 3M we are used to seeing on the Air Jordan V.
Could they just be another sample we might never see make it into production, or a sign of things to come in the future? Only time will tell. 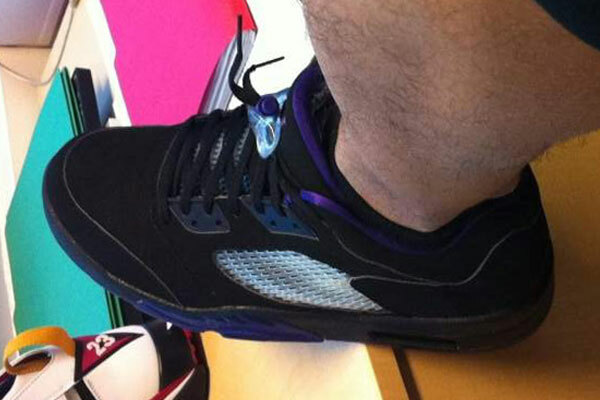 Enjoy a closer look below at the "Purple Haze" Air Jordan Retro 5 Low, along with some other Jordan Brand future releases that made their way into Josiah's #AirJordanFridays Twitpics.